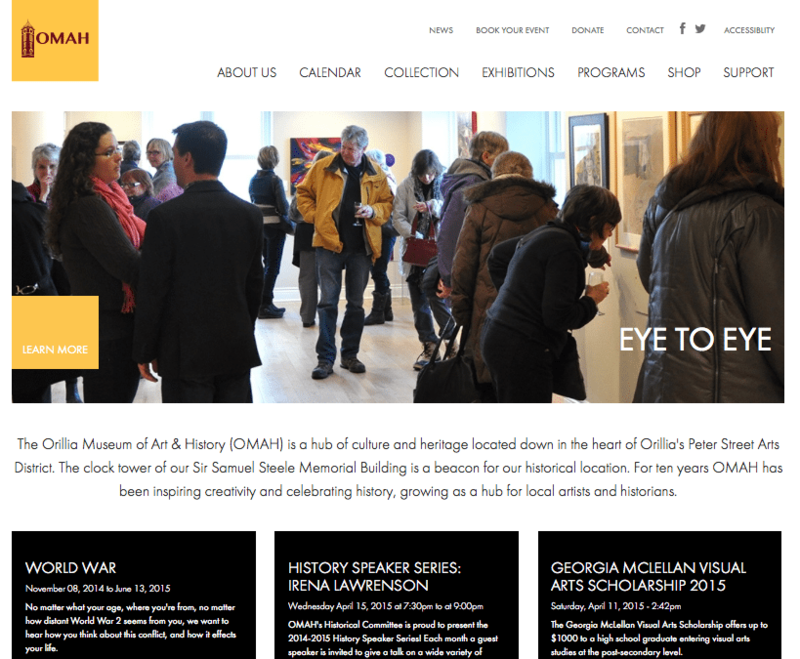 Over the past 8 years, Rhubarb Media has become the go to studio for design and web services for arts and culture organizations and OMAH continues that trend. We consulted with them to create a new and improved content managed site (DRUPAL) designed to be highly visual, interactive and responsive. See their new site here! Northern Rockies Regional Airport Says Thanks! 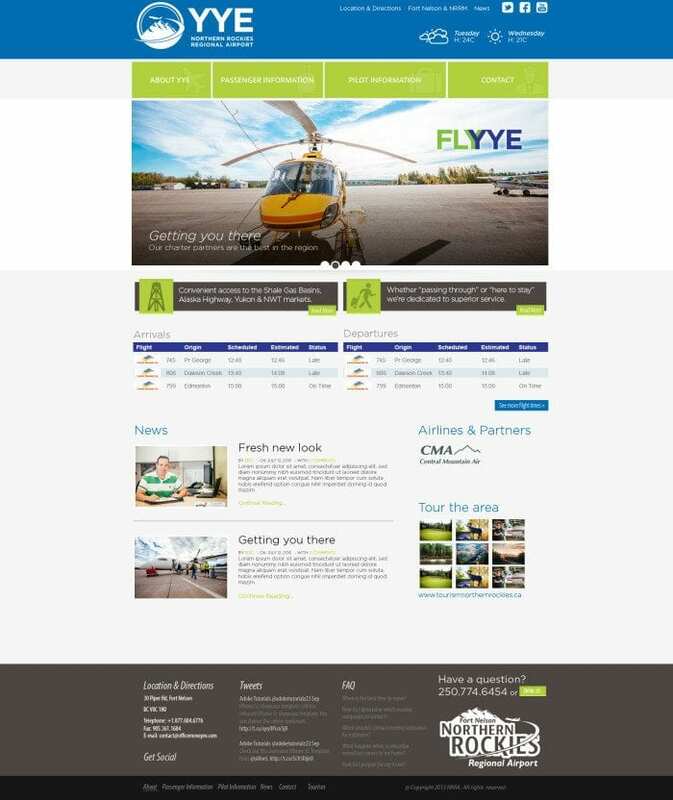 The Northern Rockies Regional Airport (NRRA), being one of the fastest growing airports in Canada, was looking to develop a new website that utilizes the most effective technology to enable the airport to provide a dynamic, interactive and user-friendly website for its passengers. In early 2013, the NRRA had selected Rhubarb media through a competitive public FRP process due to their great deal of attention put forward into their proposal and their forward thinking in order to achieve the goals of the NRRA. Rhubarb Media’s objective was to produce a website that would support the airport’s overall strategic vision of attracting additional routes and airline partners to serve domestic regional markets not currently represented at NRRA. Equally important was this project’s ability to attract new business and investment through e-marketing and the publication of pertinent airport economic development information and links on the website. “Throughout the entire process, Rhubarb Media was thoroughly organized and extremely easy to work with. They were able to compile all of our requests and produce a product that not only functioned extremely well, but went above and beyond to ensure the site not only matched our vision, but exceeded it far beyond our expectations. Rhubarb was continuously looking out for the NRRA’s interest, and was innovative in finding solutions to our unique operations of a busy northern airport. Their approach to customer service, although very professional, came off as working with a friend than a typical client/business relationship which was easily helpful at putting us at ease during meetings and troubleshooting scenarios.